It’s a pretty predictable tale at the end, but what makes it refreshing is the way that element of predictability is treated out there. Though at times, the sarcastic tone tested the temper, it was indeed a decent experience watching some great performances on the big screen. ‘Njandukalute Nattil Oritavela’ starts off in the style of amateurish drama, but the intention was clear. In fact right from this moment, the director was preparing his audiences for the kind of narration he was intending to. Anyhow, Sheela Chacko (Shanthi Krishna) starts developing a suspicion that she was about to go through a different experience in life. Proving her suspicions right, she starts undergoing a major change to her life. Well, Chacko (Lal), though is not that type of an alpha male who withstands any setbacks, manages to give courage to his wife. It is the way, the whole family consisting of two sons and a daughter, supports their father and mother, which forms ‘Njandukalute Nattil Oritavela’. As mentioned earlier, it is the way the maker depicted the theme, which made all the difference. Displaying a marked positivity throughout, this Althaf Ashraf directorial has come out to be an enjoyable experience. Though not without any glitches, the movie strikes a chord well with the theme, which is well within the reach of an over melodramatic narrative pattern. It is a truth that you might not come across a ditto kind cool family in real life, especially during such tough times (If yes, then we need more such in number). We can see that Althaf has managed to instill a number of comic situations, though none gave the feeling of being intentionally added to the list. It is pretty much clear that the story of ‘Njandukalute Nattil Oritavela’ doest have any novelty. As he was not about to tell an untried story, the debutant chose to paint each character with a peculiar nature. Everyone out in the middle belong to a different character type, the movie was able to maintain a consistency in terms of their nature and actions throughout the runtime. Well, like crabs, some uninvited guests try to intrude your life at times; you’ve to be brave enough to brace the situations and give back a smile to them. Music and cinematography looked perfect for the mood of the film. Though songs were lovable, it was not at all necessary for the wholesomeness of this film. 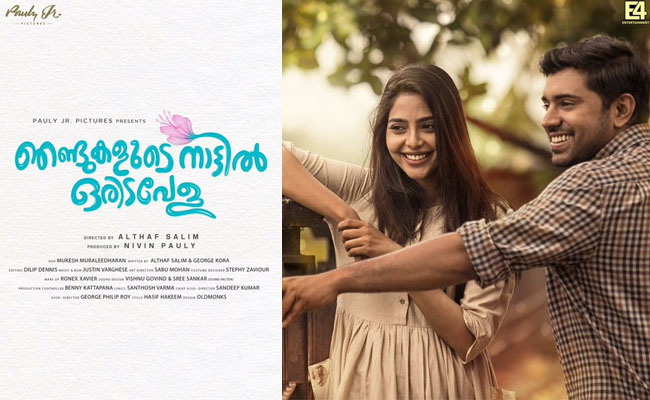 Movie, though comes under the brand name of ‘Nivin Pauly’, it is all about the story of Sheela – Chacko couple. How they overcome tough times, with the support of their family, is what ‘Njandukalute Nattil Oritavela’ all about. Be it Lal or Shanthi Krishna, both excelled in their parts, and gave a soul touching performance. Lal’s peculiarity in his character, will remind you of the figure of a lovable family head, which every family ought to have. Though not brave enough, he stands with his beloved throughout. Shanthi Krishna, who is making a comeback to movies, happens to be the right choice for Sheela. The role, requiring some kind of experience in order to not overact, was quite safe in her hands. On the other hand, Nivin played yet another go lucky guy, who gets transformed to an extent, during the course of time. All the supporting cast members did their part well in ‘Njandukalute Nattil Oritavela’. Pullikkaran Starra: Well, not shining enough..! Adam Joan Review: Go for its Visual Treat..!